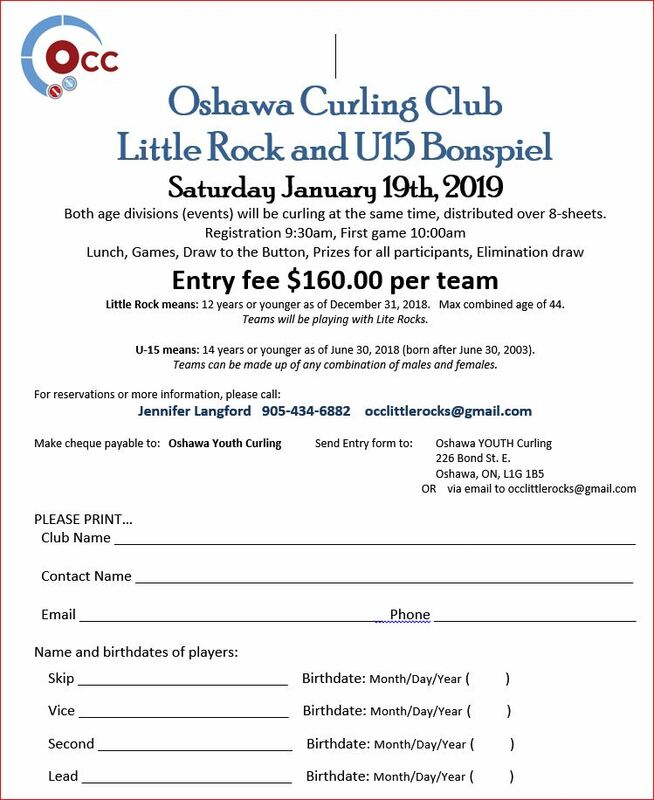 Both age divisions (events) will be curling at the same time, distributed over 8-sheets. Little Rock means: 12 years or younger as of December 31, 2018 (born after Dec 31, 2006). Max combined age of 44. Teams will be playing with Lite Rocks. U-15 means: 14 years or younger as of June 30, 2018 (born after June 30, 2003). Teams can be made up of any combination of males and females.